I finally got around to getting myself a Password JDM kickstand, in order to get rid of the stock clunky scooter stand. Two reasons for doing this. First, and foremost it is so much easier than lifting your Ruckus up every time you want to park. Second if you want to run a Fatty Kit, you can not have the stock kick stand. 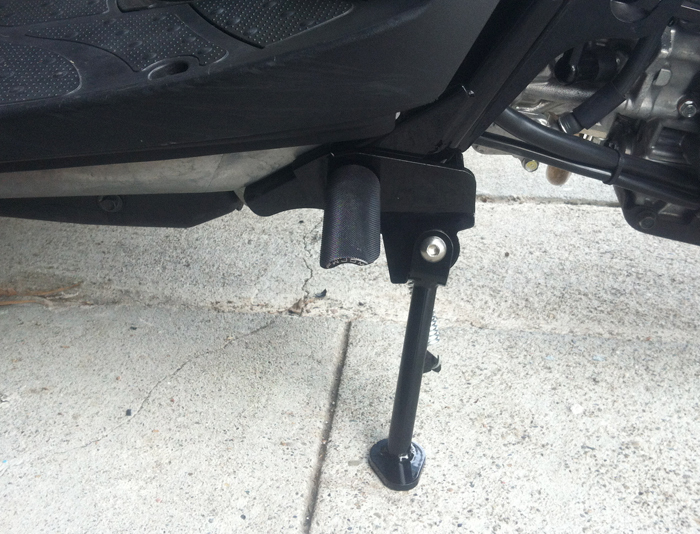 There are quite a few kickstand options out there for the Ruckus. There is one thing you need to consider before you buy one, that is, are you planning on running foot pegs. 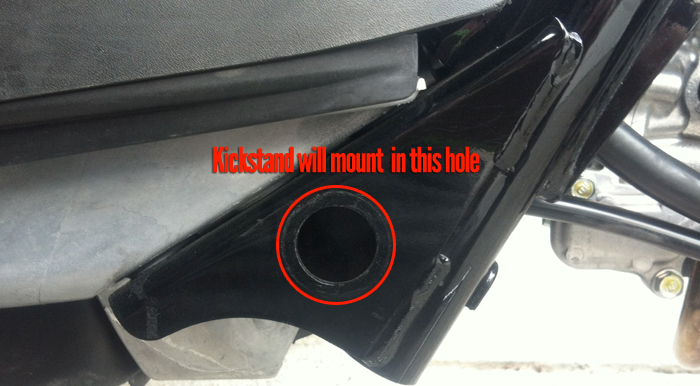 Only some of the kickstands out there will allow for foot peg use in conjunction with the kickstand, as they use the same hole in the lower portion of the rear frame. 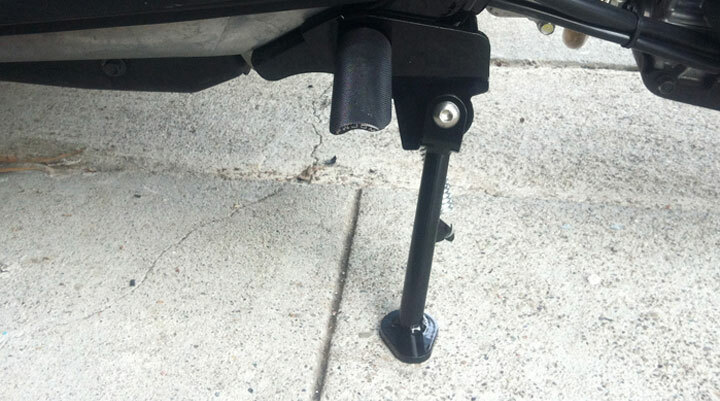 I am currently running Password JDM foot pegs, so I wanted to get a kickstand that would work with my pegs. For me the decision was obvious, as I have heard nothing but good things about the Password one, plus it is available in two sizes: 6″ and 5.5″ for lowered Rucks. Now for all you folks that are slamming your ruck and are NOT using rear pegs the FLP Kickstand is the best, and buy far the most clean solution out there. 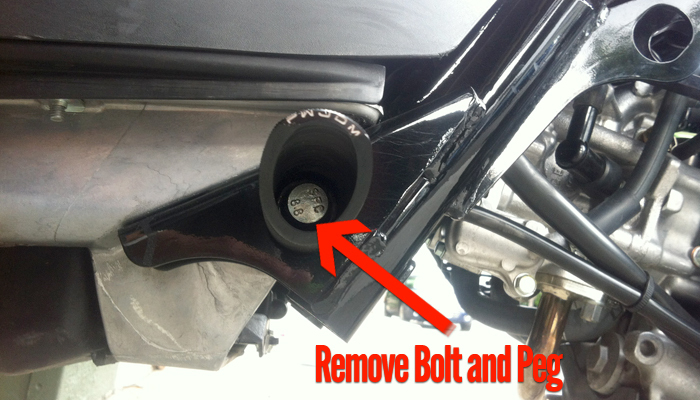 If you have pegs already installed you will need to remove them, and then you can use the same bolt to add the kickstand behind the pegs. 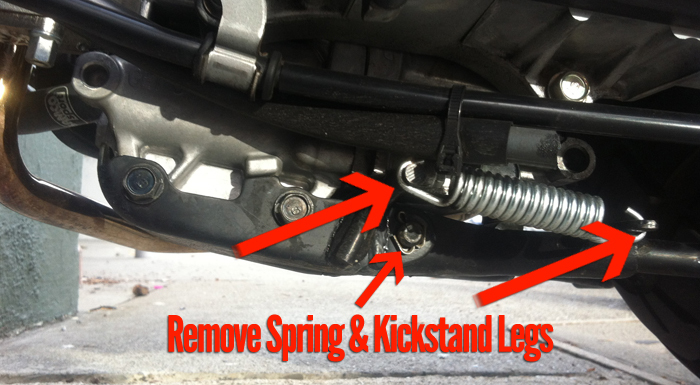 All you do is run the bolt back through the kickstand (and pegs if you have them) and its on! Last Step, remove the old scooter legs. You will need to remove the retaining clip and spring. I chose to leave the metal engine cover on as it protects the motor from hitting anything. I would suggest leaving it on. 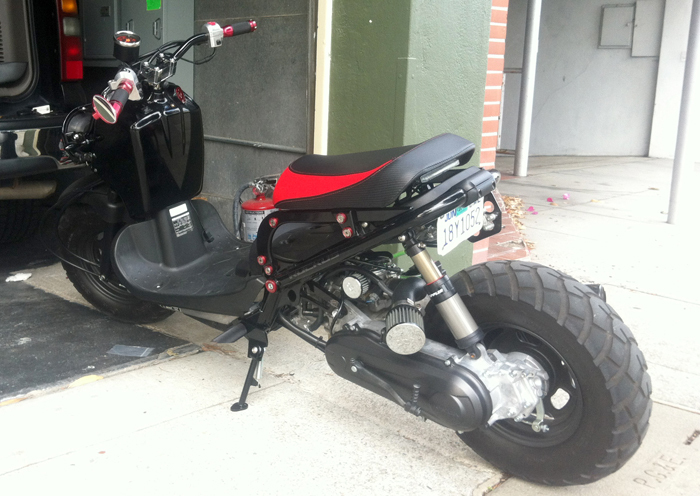 Thats it, instant gangster lean, and no more lifting up your bike just to park it.